A substantial double story home that has been designed to suit narrow, low maintenance blocks, while at the same impressing with its street appeal. The lower level offers a vast living and dining space that opens to an alfresco that really does bring the outside in. The secluded master suite also benefits from lower level living with the other generous sized bedrooms and an additional living area conveniently located on the first floor. 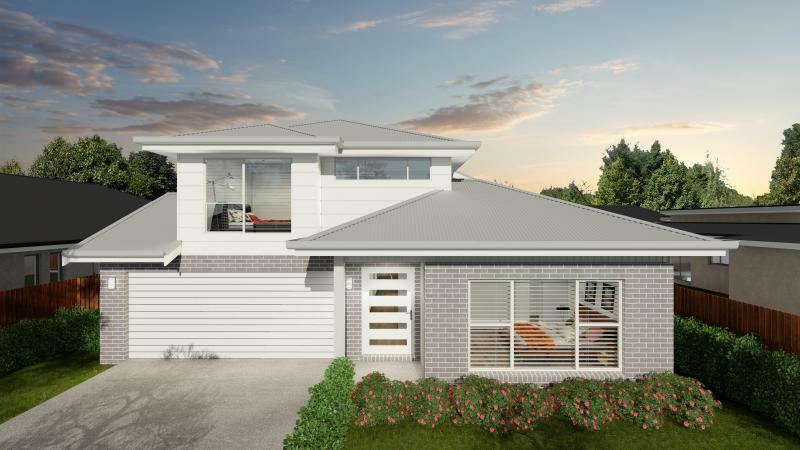 A design that offers modern living to an extensive range of new home buyers.